Musings of a Foxy Lady: Face of Foxy! We are delighted and proud to welcome the marvellous Missy Malone as an official 'Face of Foxy' here at 20th Century Foxy. 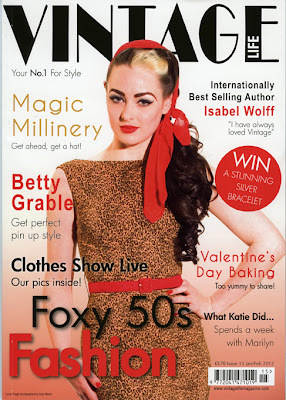 This annoucement is heralded by our 1950s fashion article and front cover of recent issue of Vintage Life Magazine! YES - front cover! International Burlesque star Missy Malone is a highly accomplished and sought-after performer on the UK burlesque scene who has performed internationally and has graced the cover of several publications and campaigns. 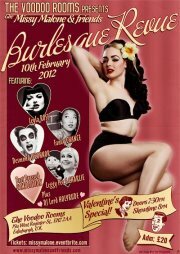 Missy is now also the sole creator and producer of "The Missy Malone & Friends Burlesque Revue" - this is one of the best Burlesque shows around. Missy was open enough to work with us on our very first shoot despite never hearing of the site or brand back in December 2009. She has provided much inspiration for our shoots and we have worked with her consistently since then. Our first 1950s dress (pictured below) has been named 'Malone' and is available now in this 'wiggle' version but will shortly be available as a full skirt swing dress version and a sarong style. 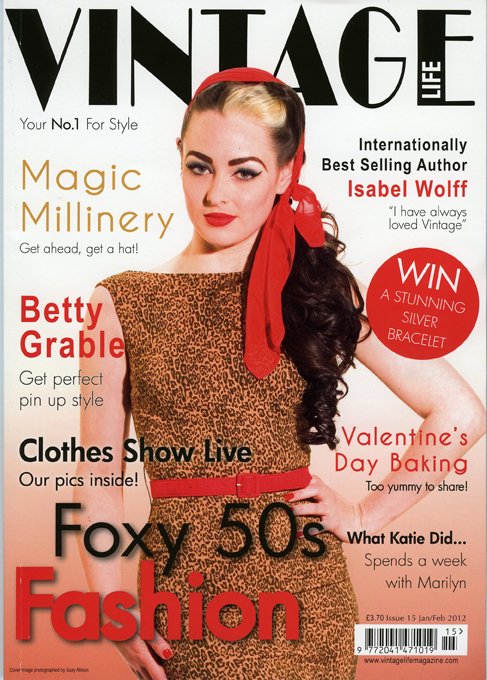 Having a 'Face of Foxy' is all part of our move to define our clothing collections into eras and to launch our own range of heritage fashion garments. Missy is the first model to be sponsored by 2CF and we are in the process of hunting for other gorgeous ladies to become a 'Face of Foxy' for our 1930s, 1940s and our upcoming So Foxy (plus size) range.